OTTAWA -- Finance Minister Bill Morneau isn't ruling out privatizing some of Canada's biggest airports, even though there was no plan to do so in the 2017 federal budget. In an interview with Evan Solomon, host of CTV's Question Period, Morneau says the government hasn't come to any conclusion on a report that recommended the move, written by former industry minister David Emerson. Emerson served in the role for the Liberals from 2004 to 2006. "We care about the passenger experience. We want to make sure that our airports are best-in-world," Morneau said. "We're continuing to look at the issue of how we can make sure that our airports work effectively, that the passenger experience is strong. There's more than one way of doing that and since we haven't come to any conclusions, we have nothing to report." 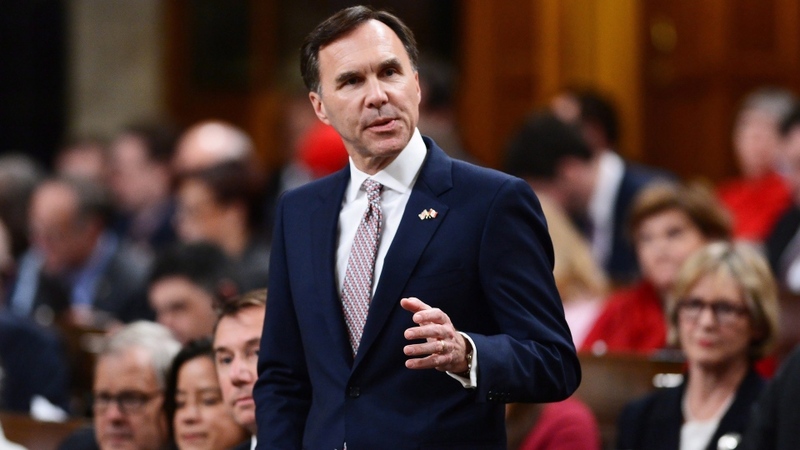 Morneau delivered his second federal budget last Wednesday, in which he proposed little new spending, but provided more detail of how the government will spend money it's already allotted for infrastructure and other programs. 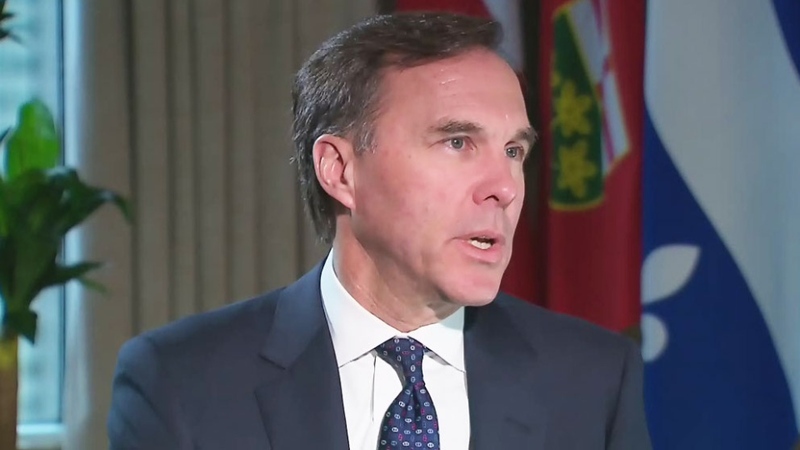 The finance minister defended the government's plan to eliminate a tax credit for public transit users, who were able to write off the cost of a monthly pass. Cutting that tax credit, along with a handful of under-used credits, will net the government $215 million next year. "This [credit] was meant to be about being environmentally friendly. This was meant to get public ridership up. It didn't work," Morneau said. The tax credit also didn't work for the lowest income transit riders, he added. "A tax credit is only good for people who pay taxes. So a significant number of people who go on public transit aren't in that bucket... It was not actually serving the intended purpose." Morneau said the government is using the savings from eliminating these tax credits to invest in other programs, like the $20 billion over 10 years the Liberals want to invest in transit. He also referred to the government's tax cuts, which they introduced for 2016. "The average family [pays] $540 less in taxes a year. When we changed the Canada Child Benefit ... the average family is getting $2,300 more after tax per year," Morneau said. Asked what he's most concerned about when it comes to the economic policy of the U.S., Canada's biggest trading partner, Morneau said his role is to make sure the economy is strong and resilient. "There's things, Evan, that neither you or I know are going to happen because that's the way the world is. So we're going to be prepared for whatever challenges come our way. And the way you do that is deal with a strong economy here at home, you help Canadian families to be successful so they are individually stronger, and then you negotiate and ensure that your relationships around the world are strong, and that's what we're doing."